Artists, creative coders, architects, data scientists, information designers, social scientists, activists, students and professionals are invited to participate in the LAB programme: Architectural Intelligence, that precedes the FIBER Festival (09 & 10 May). The goal of the lab is to explore a 21st century approach to public art and define new poetics of space through media arts and architecture. 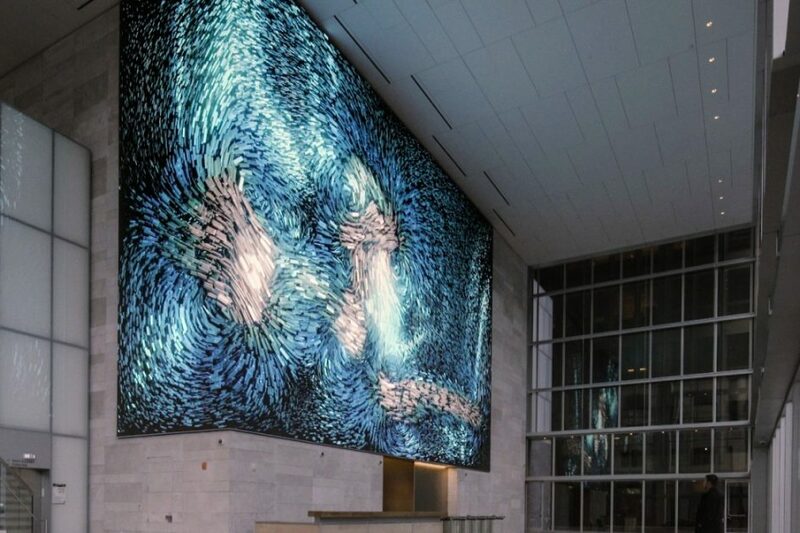 By the guidance of media artist Refik Anadol, the participants will work on concepts for unique site-specific data sculptures that has an intelligence, memory and culture. Within this two-day LAB programme participants will work in interdisciplinary groups to develop concepts and prototypes for artworks in public spaces. The LAB will explore a hybrid blend between media arts and architecture in the 21st century. The LAB explores architecture as a media wall that enables to make connections between the build environment and site-specific data. By offering specific cases the participants are invited to develop new narratives by combining distilling and transforming available datasets into new narratives for specific locations. End products can be a concept or a physical prototype. Price: includes lunch. You’ll receive a payment link after your application is reviewed and accepted.